I am not going to steal @shaar's idea, but healing sounds pretty wonderful right now for me too...i have a lot of anxiety inside. I am very busy with work stuff, i have a London project to organise, I am going to Venice on the 8th May to install work, and need to find a gallery space for the next big Broken Grey Wires exhibition. Alongside that, i need to keep researching, plotting, making work, making connections blah blah blah. I have a car now though, and done a few little trips and one longer trip. This week is going to be nice weather, even 21 degrees one day. (70 degrees for the Americans) so im pretty excited and want to get out. Annoyingly its bank holiday weekend though, so it will likely be packed everywhere...NOT GOOD. My friend from Italy is going to be in the UK - so we will be meeting somewhere, maybe at the beach that will likely be on Friday. Anyway...my goals are simple and recurring. All these things make my life easier, and make my mental health stronger so it is really important i try my best. ha! sorry I didn't see this earlier. I've lost track of the times. Healing is a magical word and when you think about it; its really a miraculous process. we might fall short and put blisters on old blisters-- but we should Try all the time to get beyond current limitation. Next walk I'm taping up that spot. hopefully Tape prevents the friction and stops the blister from forming. I like your effort to meditate particularly. I've said before how much I struggle with some of that. but the mind it just Races out of control so easily!!! Hey all, its just gone 3.30pm. Phew ive had a busy day...! I hope Ste will be pleased, he is a little distant lately, not sure why?! Thursday i have a fundraiser gig im helping arrange...then Friday I think I will be going to the beach to meet my friend from Italy, who is home in the UK for a few days. The weekend i will chill out. Sometimes i dont like being so busy, it makes me anxious. So more important for me to centre myself and HEAL. Sounds like you've got an exciting few weeks ahead of you! Here to see you ROCK THIS! Following along for awesome goals! Not sure where to watch the football tonight. Everything up in the air a bit it seems. going to the gym sounds good. Gym trip sounds like a good way to wake up if you're having trouble focusing/staying awake! Thanks guys, i went for a walk round the block...then napped. naps are also good and wow, that sounds fun! When do you go? 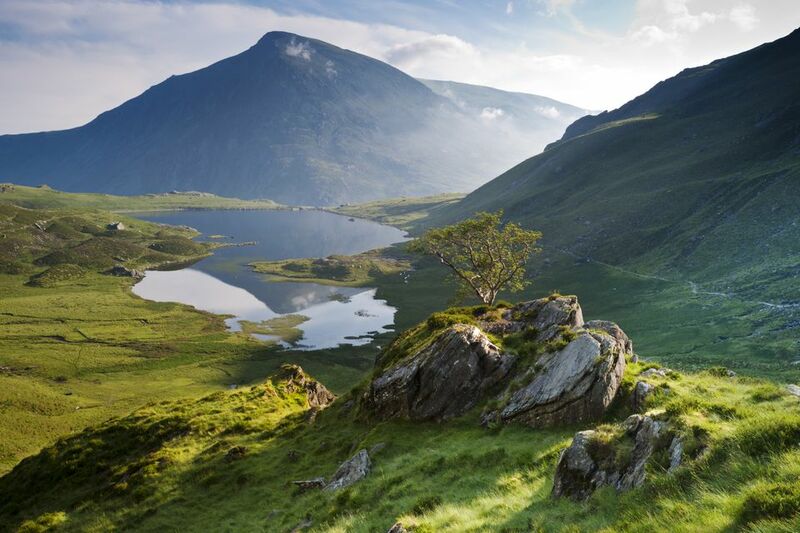 Snowdonia! what a cool name. I'll have to google it this afternoon. Hey all...sorry been a bit AWOL. Done bugger all. Drank too much again. Hungover yesterday. But spent the afternoon with a good friend. We messed about with some filming stuff and relaxed, had some lunch together etc. Was nice. I had an early night too. Ste booked the day off, we have been hanging out, we just bought festival tickets!!!! And we are wondering if to hire a camper van to take !!! Exciting! Tonight there is a fundraiser i must go to...a gig i helped organise. I dont want to go, i may not drink...or just have one. Im up early tomorrow to go to the beach to meet my friend from Italy who is in the UK for Easter break. hahaha it does sound like that!!! Not sure we can afford the camper van but festival and camping is fine !!! Got home around 5pm. Ste was finishing off cutting the grass....i strimmed it yesterday and he finished mowing it. He has now gone out to drink with mates. I plan on listening to music, showering, washing up and planning the week ahead. Its SO HOT here ... been lovely to be sat catching up with my friend. Oh wow a vacation to a Bob Ross painting even! Eeeee how exciting! I hope you have a great time, with Snowdonia ad the festival, camper or no camper you have so many things going on right now! The dogwalking sounds like a wonderful idea, too. Spending time with puppers, getting some exercise, and knowing you're helping somebody out. Sounds like something fun to try out. hehe it is very pretty!! Hey all!! WOW IT IS SO HOT HERE!! 24 degrees yesterday - maybe even more to be honest. I had a busy day...i drove to the garden centre, pottered around which was lovely, and spent too much money on plants and stuff. Got home, started planting in pots i bought. Then me and Ste decided to have a BBQ so i drove to the shops to get some food. Not much was left to be honest but i grabbed some burgers and sausages. We made a salad and opened a beer and lit the bbq. I put on some music on my speakers and we chilled out. Was a lovely night. Blocked out Ste's face cos he isnt in for me to ask if i can put it up on here. Im so tired today, even though i slept till like 9am...i have a nice cup of tea and i will relax today i think. I need to pot the remaining plants and i will take a photo when done. Then my friend Billy wants to meet to watch the football. So i may head into town soon. But wont be a mad one, because im tired and want to relax.